We marvel at our self-publishing authors. They’re intrepid and resilient. They’re disciplined and relentless. Authors sense that first nudge of inspiration, continue with courage as their vision pours onto the page and they forge ahead until the work is done. Though the timeline from inspiration to publication varies between authors and each of their books, Outskirts Press actively celebrates the successes of our authors throughout the journey. This week’s Self-Publishing Author Spotlight highlights the talented author D.L. Holliday who has published three works of fiction with Outskirts Press. Read on to learn more about D.L. Holliday and her books. D.L. Holliday has written short stories since childhood. She began reciting her stories orally, first to her young friends, and continued the tradition with her children and grandchildren. Throughout her distinguished career in the medical field and while raising her three children, D.L. Holliday’s love for writing and storytelling remained strong. 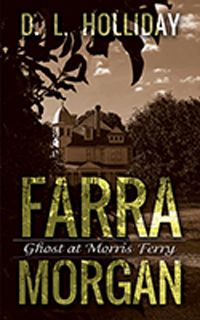 She has published three works of fiction with Outskirts Press: Farra Morgan: Mystery at Morris Ferry, Farra Morgan: Ghost at Morris Ferry and Adventures of Tommy. The Morgan family was looking forward to a fun-filled week at Morris Ferry, but as Farra and her cousin, Taylor explored the surrounding woods, they overheard loud arguing coming from the clearing ahead. They arrived at the edge of the woods just in time to see a man forced, by two men, into the woods behind an abandoned fishing cabin. Together Taylor, Farra and her brother Tommy, along with new friends Gunner and Bella returned to the cabin to find evidence of a dark mystery. Farra, a future hopeful investigator, wanted to solve the mystery before her brother insisted on turning the clues over to the local law enforcement, but the kidnapping of their younger sister, Sydney and her friend Dax quickly changed the course of events. Farra realized she was the only one who knew the location of the two young children and it was up to her to rescue them before the return of the menacing men. 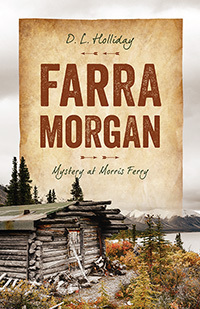 Farra Morgan, Mystery at Morris Ferry, is reminiscent of the Nancy Drew, Hardy Boys mysteries and will entertain the young reader and take them into a suspense filled, wholesome adventure. The Morgan and Carson families return to Morris Ferry for an extended summer vacation in a century old Victorian mansion at the edge of the Southern campgrounds. Despite the harrowing events of the previous summer, Farra Morgan along with her family and friends were looking forward to their summer until strange events began to occur and Farra realized that their families were not the only occupants of Brookhaven at Morris Ferry. 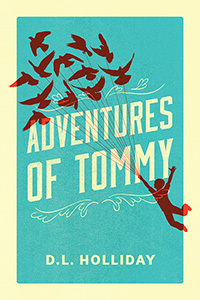 Come along with Tommy to new adventures waiting for you. Do you have a book of your own in the works? Let Outskirts Press get you started on your own publishing dreams! Previous Previous post: Get the One-Click Publishing for Fiction Books!